It was duty really. 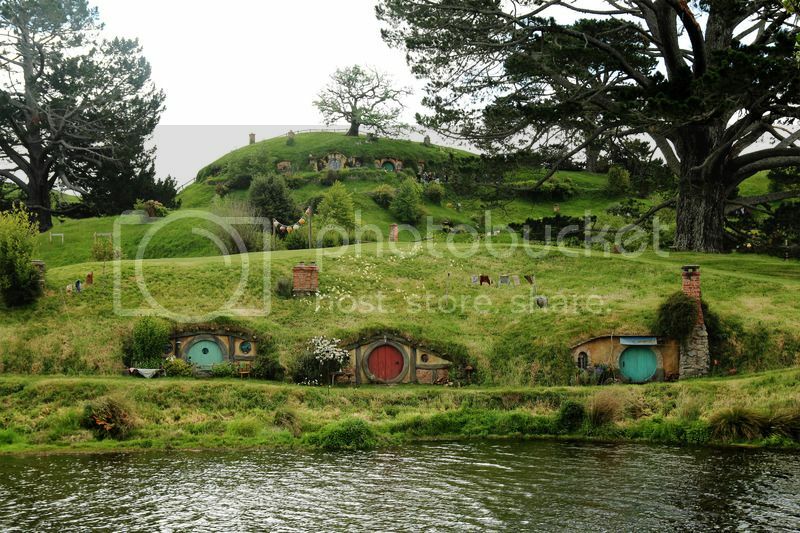 The Shire wasn't calling me, i was in no hurry to go to New Zealand's number one tourist atTRAPtion. One of my besties came to visit me and we debated about whether it was worth spending a day there. In the end, it was her SON who wasn't even with us that made us do it. Her kids were stuck at home with dad thousands of miles away while she was here. 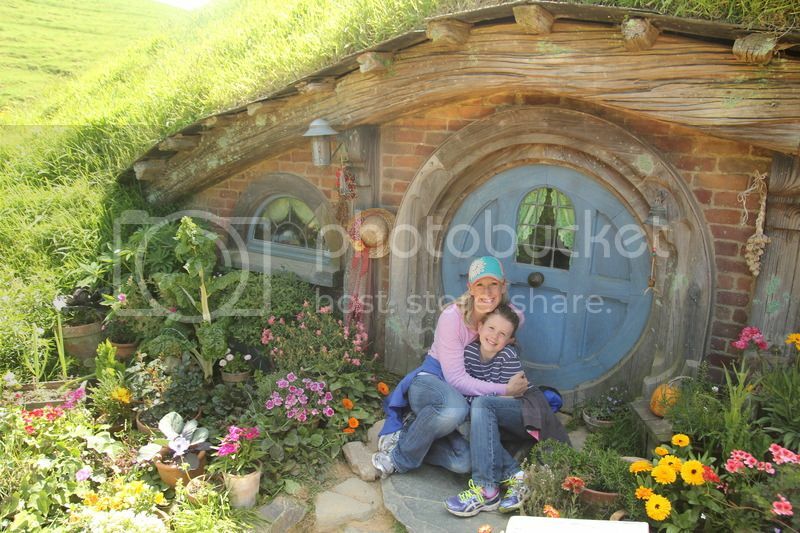 She knew he would be devastated if mom was so close didn't stop in to the Shire. If nothing else, we'd find good souvenirs there. i remember reading the Hobbit in Mrs. Wiebe's High School English class. i'll be honest, i didn't like it. i read it but just couldn't understand what all the fuss was about. I'm not a fan of fantasy genre and although i love a good adventure myself, i was quite disappointed Bilbo set off on his own quest. 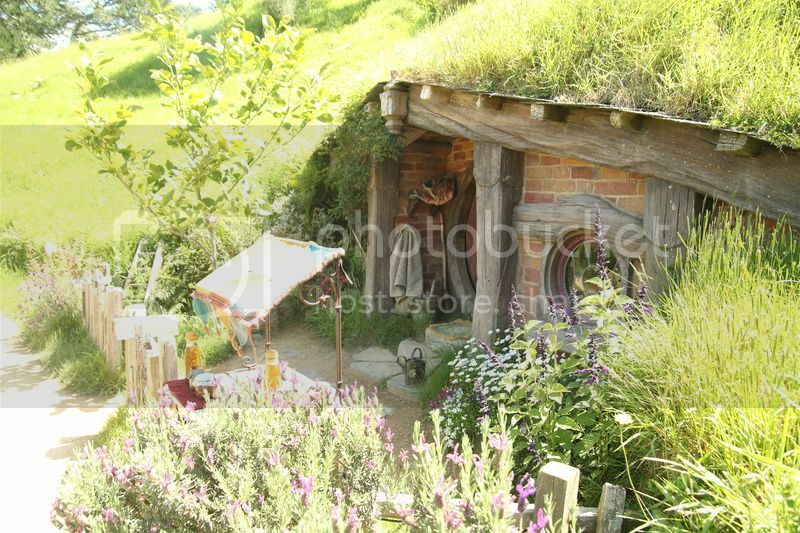 In my humble opinion if there was anything appealing about the book it was Hobbiton where Bilbo lived and should have stayed. To have him vacate his charming cottage on page 31 was huge disappointment to me. Fast forward *ahem years ahead* and i have 2 guys in my life who love The Trilogy, books included. i find myself living smack dab in Middle Earth so i feel a bit of a traitor to not have some sort of affinity for the little Hobbits. 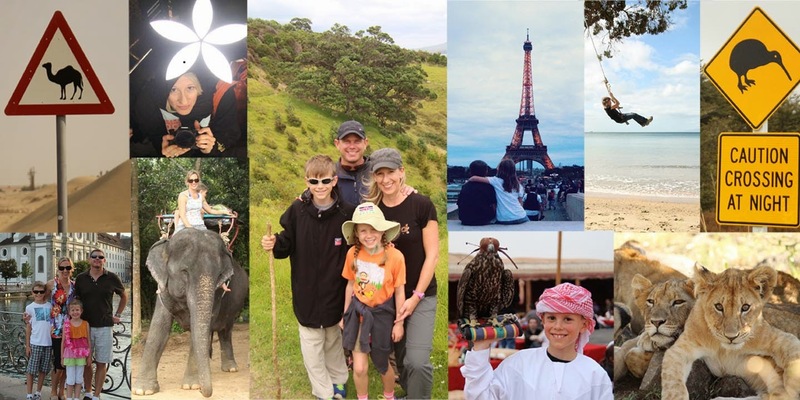 Parts of New Zealand truly transport you into the pages of some wild fantasy from a far off land with its stunning and sometimes surreal scenery. i have found myself a bit more taken with fantasy now that i live here. 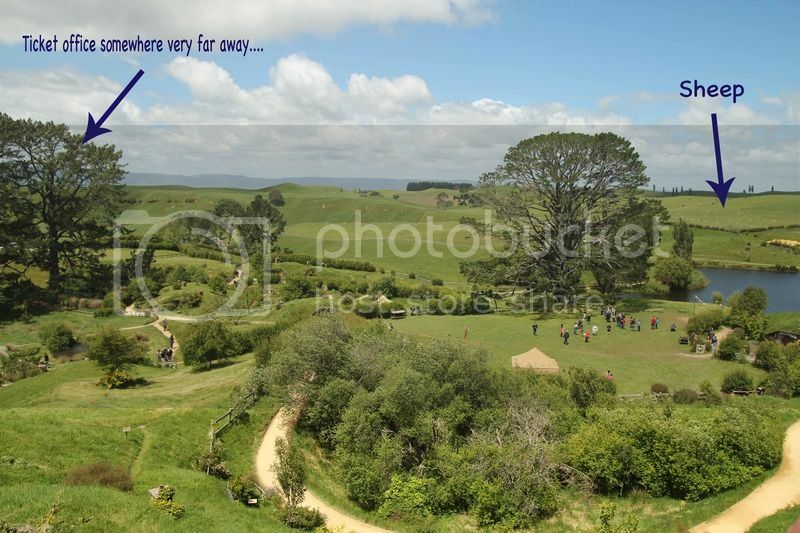 And yet, i was still in no hurry to visit the HOBBITON tourist trap. "Tickets are expensive, the tour is only 2 hours long but the drive itself is about 2 hours from my house one way," said in a whining voice. Regardless, we arrived at the ticket office and were slightly confused. After all that driving we were ready to WALK The Shire but there was no Shire to be seen ANYWHERE only a gift store, some woolly sheep and a parking lot. 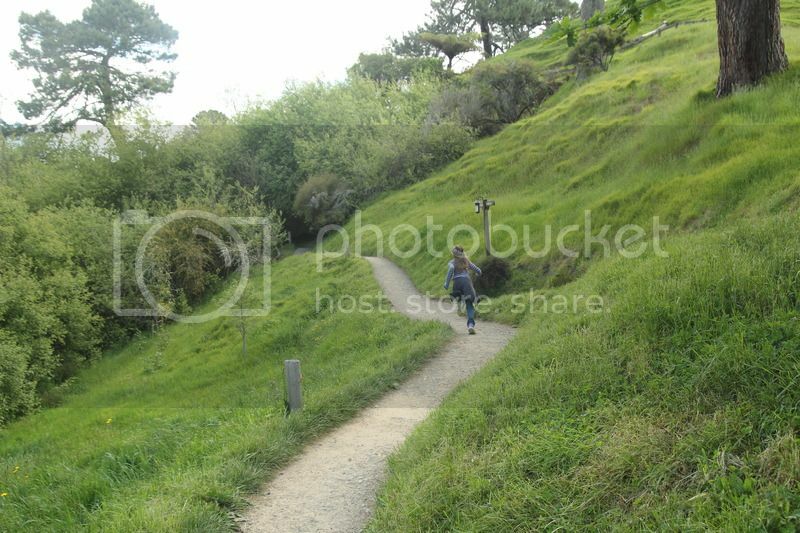 No Hobbits in sight. 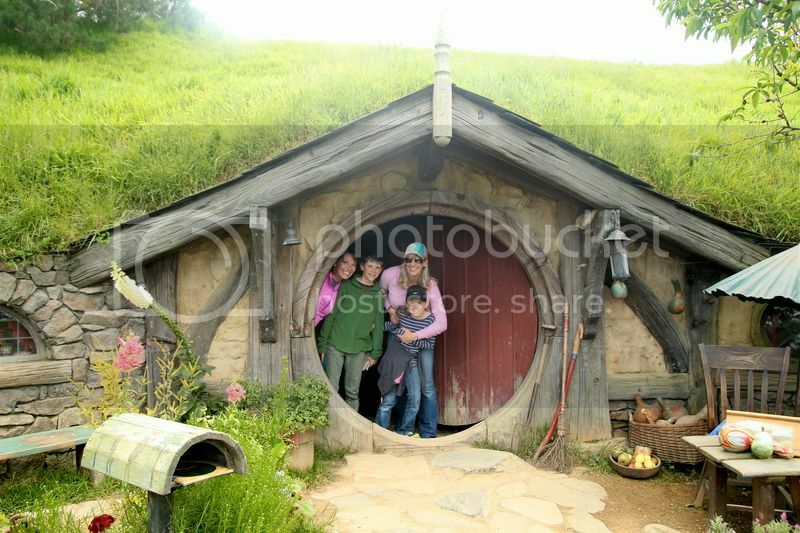 We paid for our tickets and got in line to board a bus, trusting at some point they would take us to the Hobbit Holes. We quickly discovered how clever the whole scheme was. You can't get to The Shire unless you know the secret way. There's no drive by, get a peek and say you've been there. You have to commit! 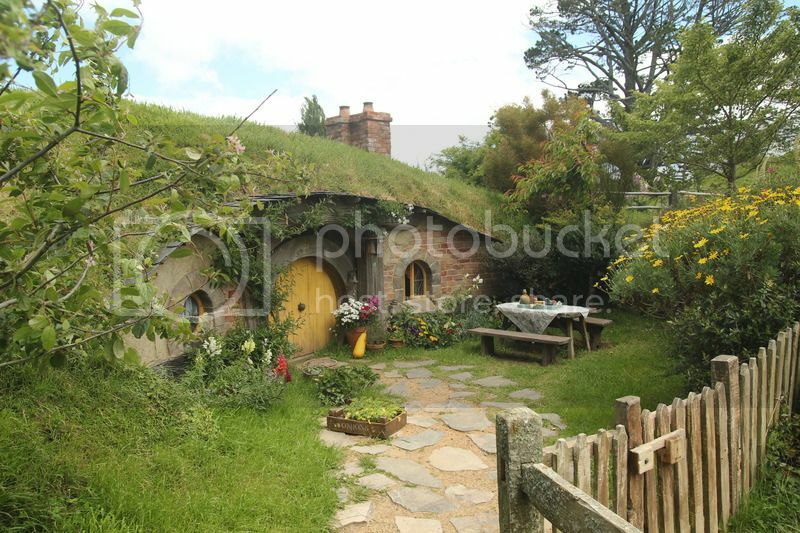 Pay your money and get a golden ticket, and board the bus to enter the Shire. Which may be why Bilbo was so surprised to see Gandalf..? However, once you find your way in it is completely MAGICAL, even for a skeptic like myself. 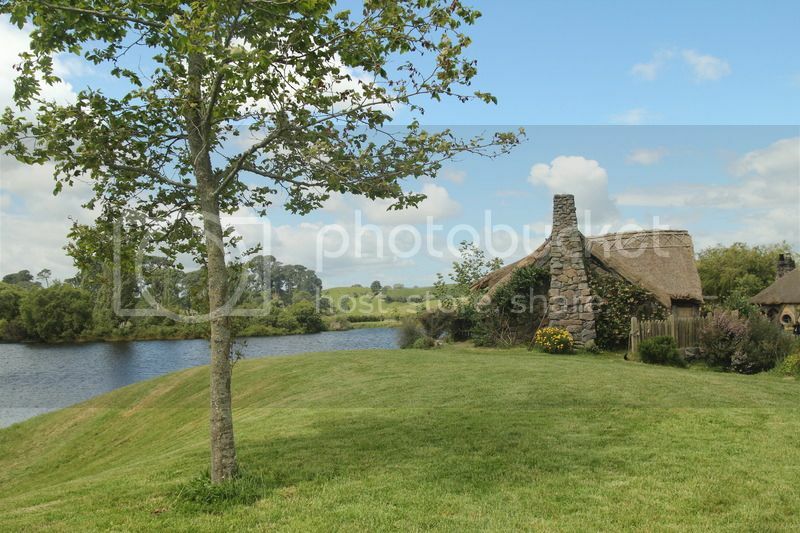 Once i stepped into the Shire i was suddenly and completely smitten. i didn't want to just READ the Hobbit, i wanted to BE a Hobbit! During the the tour they give you all sorts of fun movie facts which one would think i could care less about since i am not a fan. Not true. i may not be a fan of fantasy however, i do love me some good trivia. #1 Hobbition is a working farm aside from all the tourist that come through. 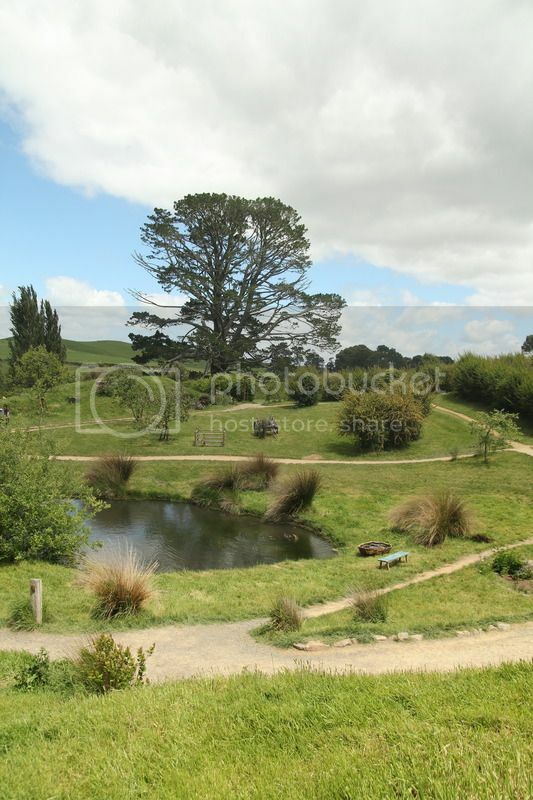 Although the farm had 13,500 sheep, it is said Sir Peter Jackson preferred a different variety so he brought in Suffolk sheep for filming instead of those already there. 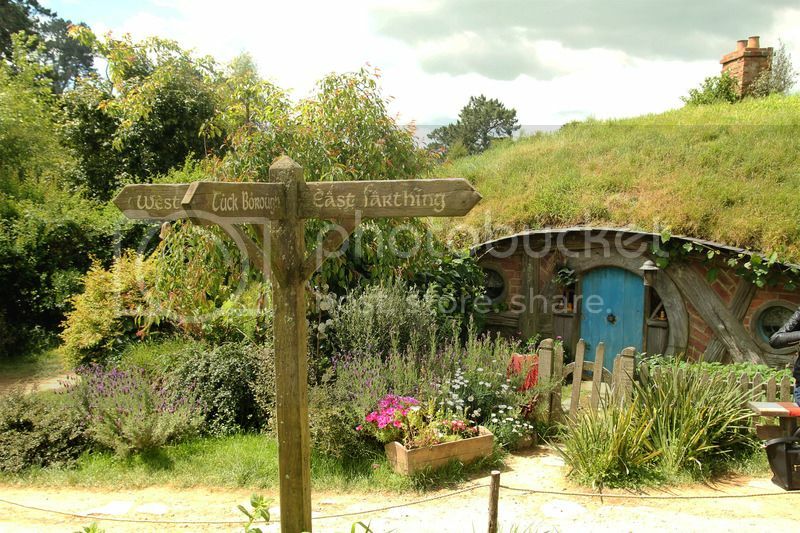 #2 Sir Peter Jackson (SPJ for short henceforth) flew around various locations trying to locate a spot for the perfect backdrop for the Shire. Can you imagine the windfall of the farmer when SPJ knocks on his door and tells him he wants to use his land for this little movie he wants to film??! 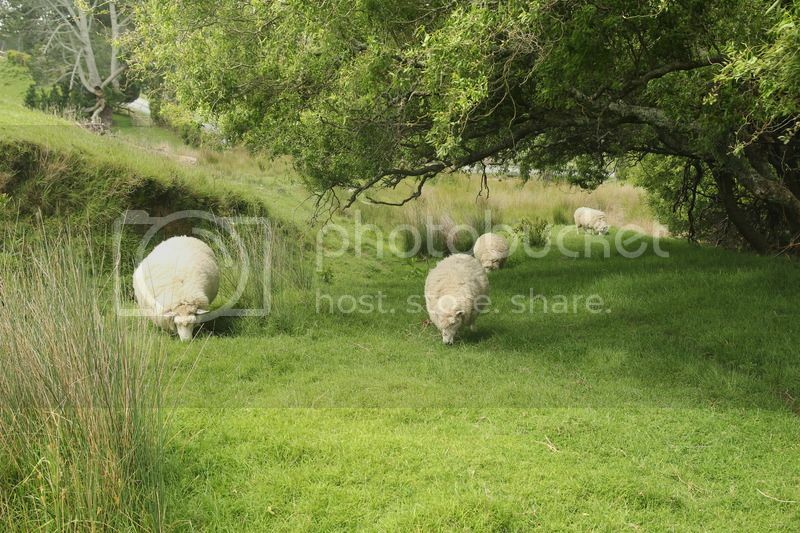 The hills are dotted with sheep and upon entering it truly is another world. Enough wool here to clothe many hobbits but not glamorous enough to make the cut for the big screen. #3 SPJ secures the location and contacts NZ prime minister at the time Helen Clark, requesting a budget to build roads for this endeavour. She says NZ doesn't have the budget for something like that but instead provides him with the NZ army to assist him. #4 In return he thanks the army by using them as extras in his battle scenes only having to remind them at times they are supposed to LOSE in particular scenes NOT win, so calm down the fighting. # 5 The original set from 1998 was made from plywood and didn't hold up for the second filming in 2009. 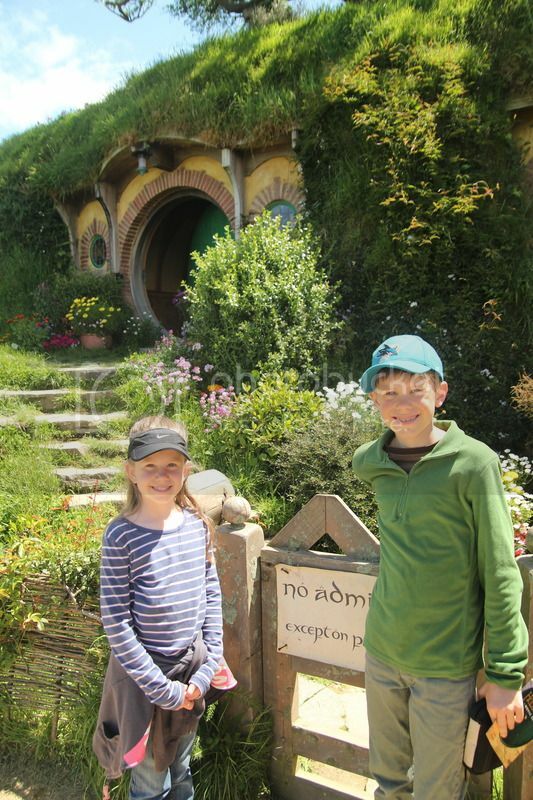 #6 When SPJ returned to film the Trilogy, the farm owning family was clever enough to convince SPJ to build more permanent structures for the Hobbits and the future paying tourist who may want to visit them. It is EXACTLY like stepping into the movie! Every where you look it is picture perfect. 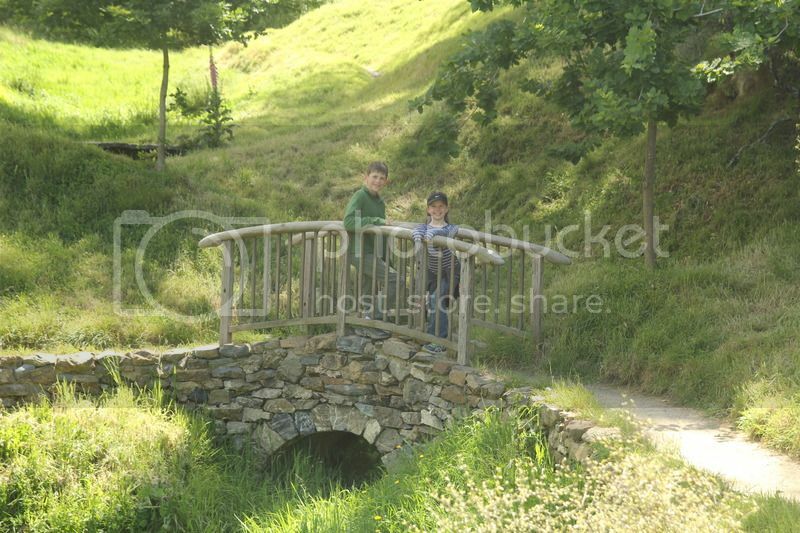 After a few minutes here we are convinced Hobbits DO exist and we WILL see them! It's as if they have gone out for the day and we have just missed them. 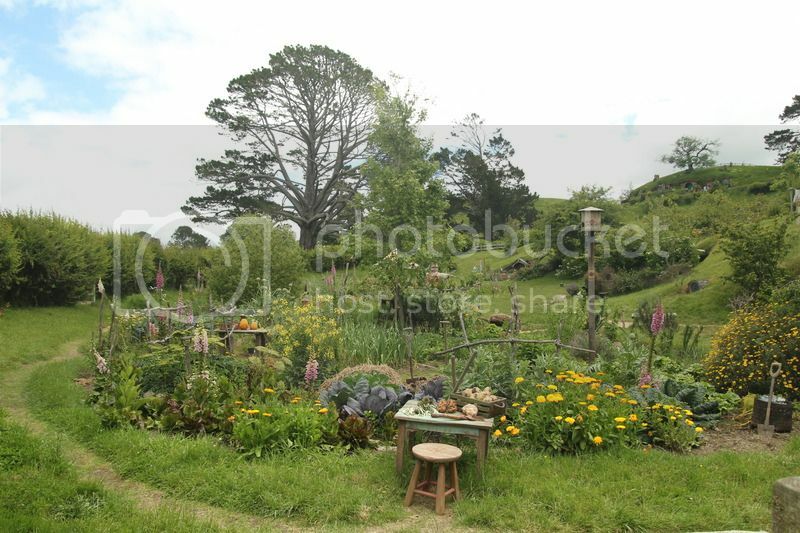 #7 There are 5 full time gardeners (more in the summer) who care for the Shire, we never once saw them but i am sure they have big feet and are quite short. 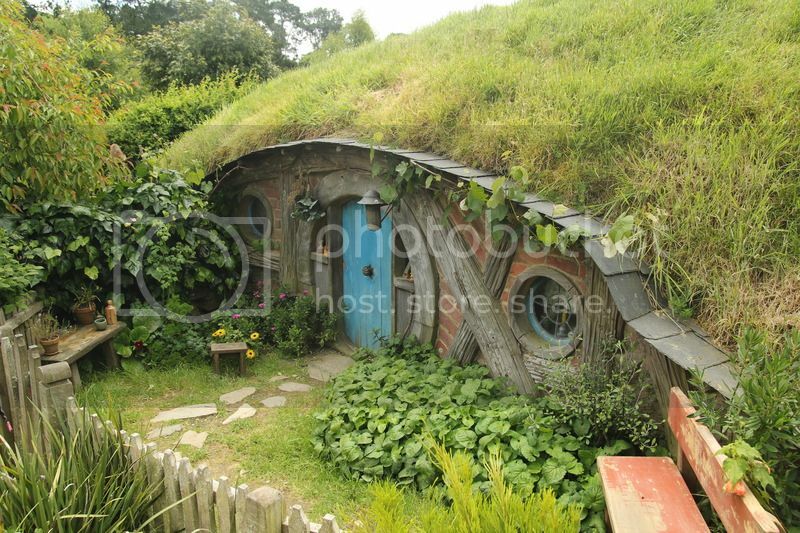 44 Hobbit holes in all. You will be happy to know i didn't take a picture of every one. It was hard though because the detail of each one was so inviting! You couldn't help but want to move in. This from the "Not a Hobbit Fan." i can only imagine what a die hard would think. Those sets are all in Wellington. You are supposed to stay with your tour guide and group for the one and half hour tour but you can't help but be tempted to wonder off. The details are extraordinary. 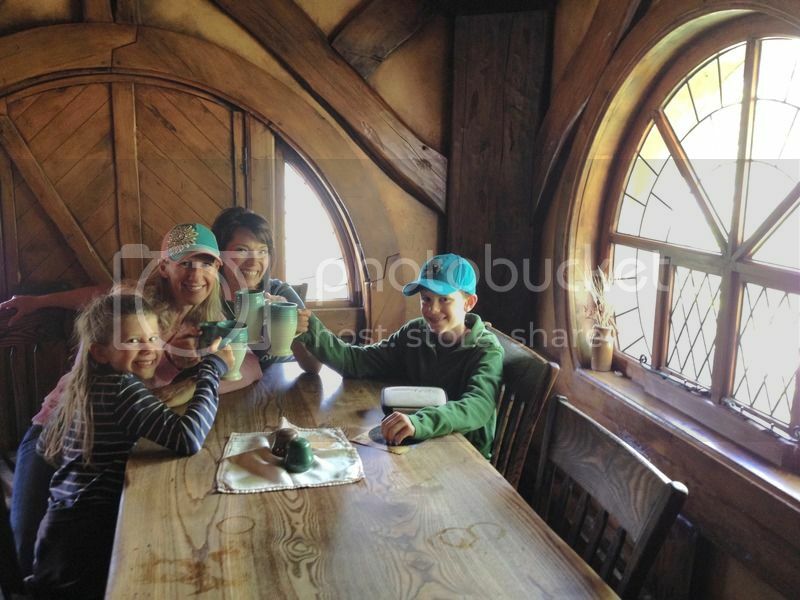 Evidence of Hobbits are everywhere. 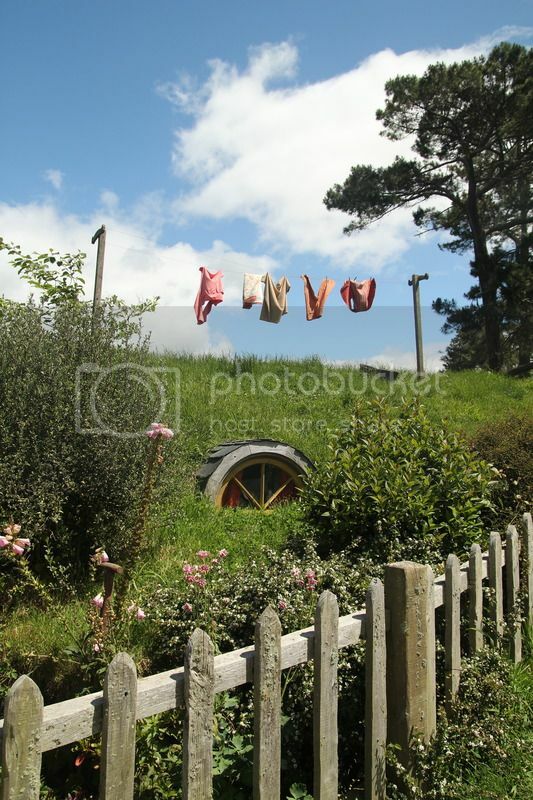 There are clothes, tools, laundry and food items left behind as if the Hobbits have gone into hiding once they realized the humans arrived. The gardens are immaculate. 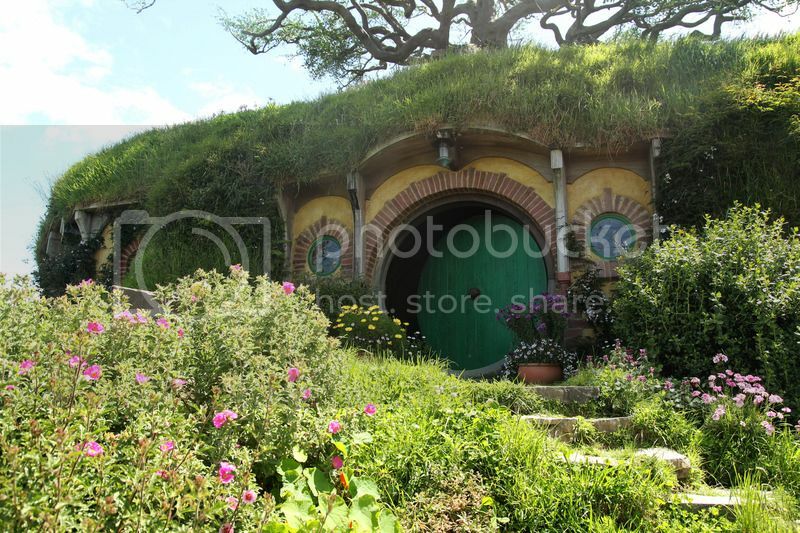 #9 Each Hobbit hole is said to have 30-200 plants around it. As if we need ANOTHER reason to want to move in!? It had a bit of makeover. #10 SPJ didn't care for the color of the leaves so each leaf was individually painted and attached to his liking. 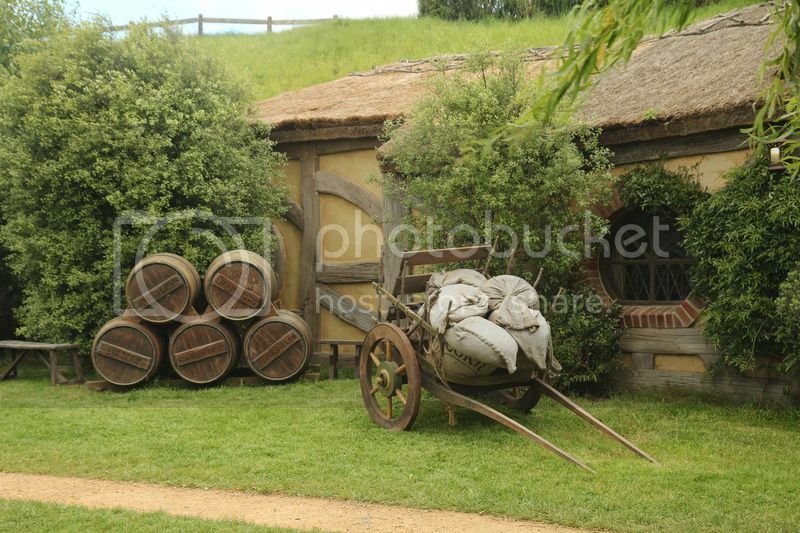 A posting would not be complete without a picture of Bilbo's home. 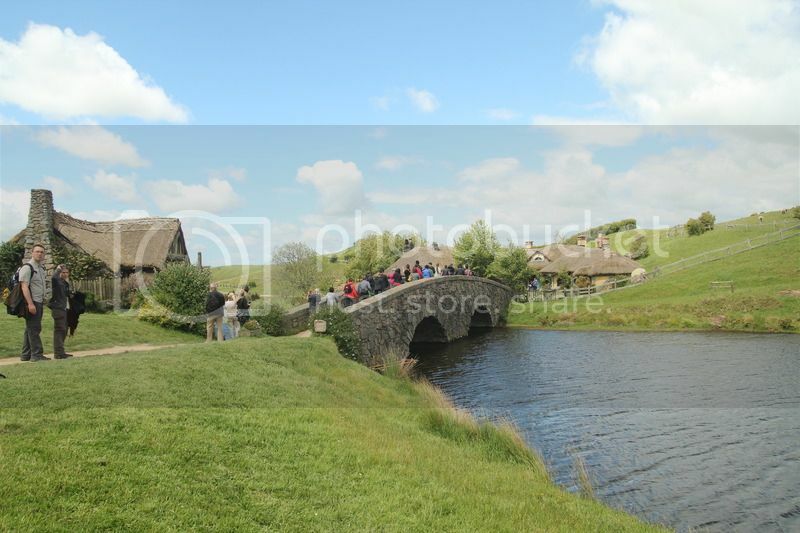 After a wonder through The Shire we meander back towards the Green Dragon for a refreshment. 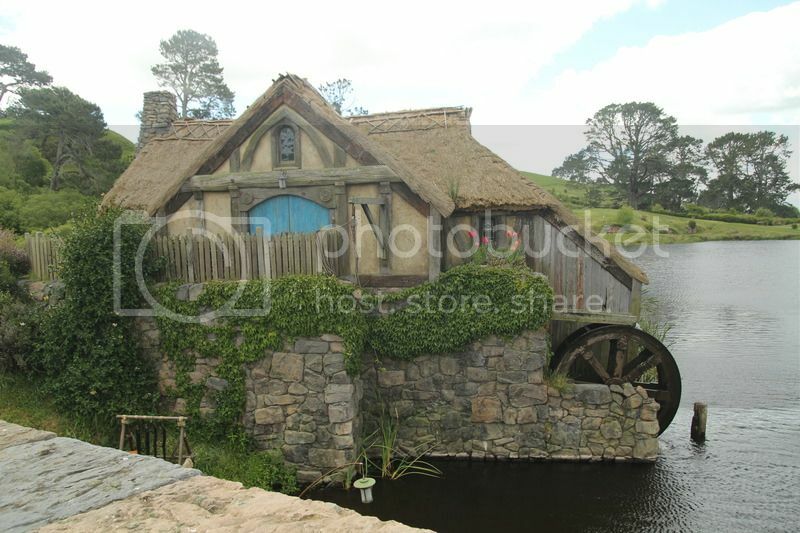 The Green Dragon is recent addition to Hobbiton. 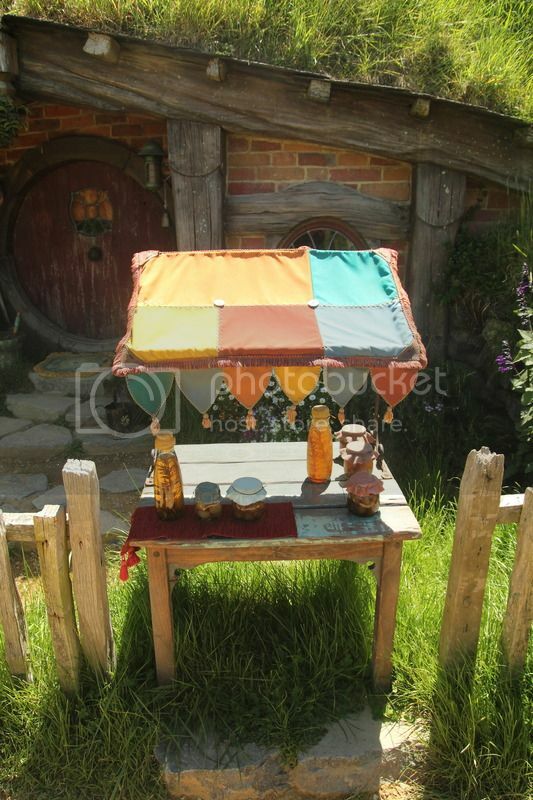 It is a tavern that serves drinks to wanna be hobbits. Our tour concludes with a "free" pint of Ale or Ginger beer. 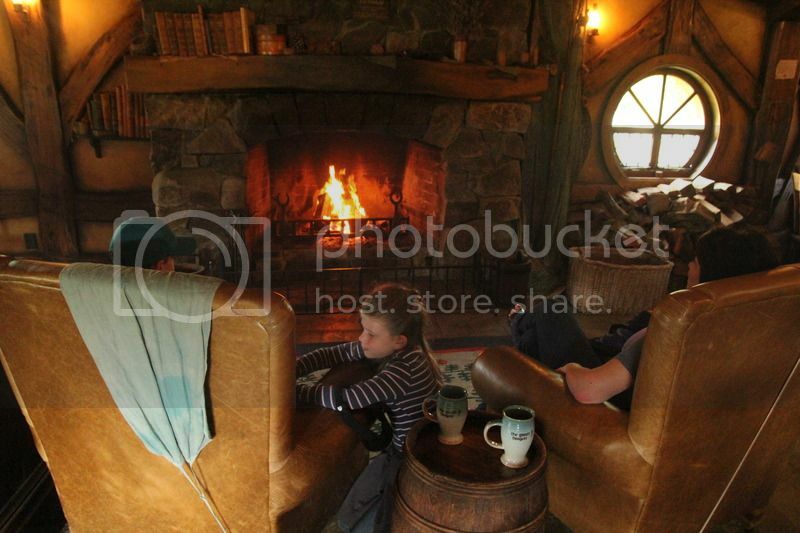 (Trust me, we paid for it in the ticket price) We cozy up to the fire with a cat and enjoy our drink at the table all the while waiting for the arrival of other hobbits. Sadly, after a short time our group is summoned to board the bus and return back to reality. i leave a enchanted and the newest Hobbit fan. We revisit the books and movies all over once we get home. i know Bilbo HAD to leave but should another adventure arise, we would be happy to house sit for him! 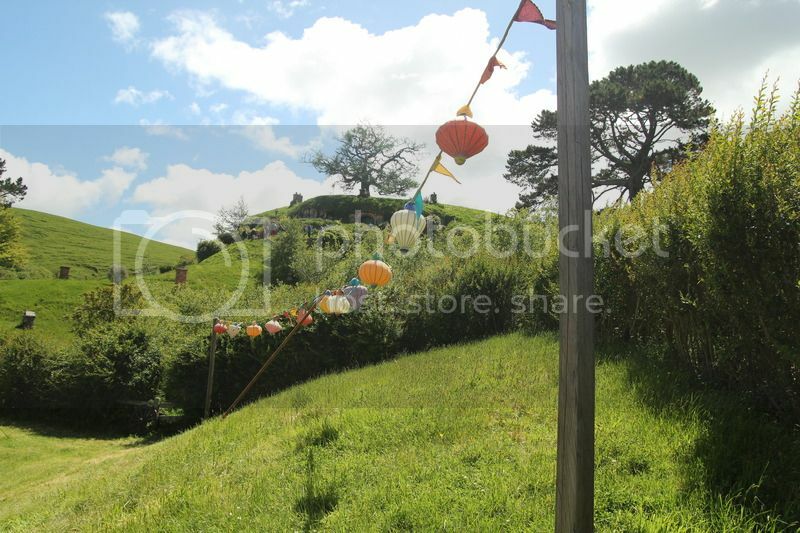 You can read more about Hobbiton at their homepage here.